The Langham, London welcomes guests with a dazzling £80m renovation, and when you book your stay across WhataHotel!, guests can also enjoy Exclusive Complimentary Perks that are positively fabulous. 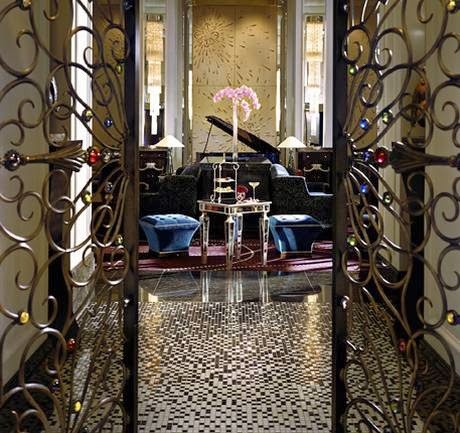 This historic locale will charm from the moment you step foot inside the spectacular lobby. 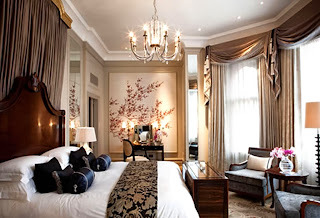 If you are ready to stroll through London's iconic streets and enjoy all of the famed landmarks found here, why not stay in a hotel that has enchanted guests since 1865. When The Langham, London opened it's doors, it was immediately named Europe's first 'Grand Hotel'. Today it continues to impress every traveler with legendary service, delightful decor and an exceptional reputation. Guests can stay in one of the 380 spectacular guestrooms and suites that feature top notch amenities and all of the comforts of home. This remarkable hotel also presents guests with 15 function rooms, an Artisan bar and the award-winning Roux at The Landau that is famed as the birthplace of the tradition for afternoon tea. Lucky visitors can relax in the beautiful pool or sweat off some of those extra calories at the gorgeous Health and Fitness Club. There is also the luxurious Chuan Spa, the first of its kind in Europe, that was voted 'Best for Interior Design 2011' by SpaFinder. Delight in some delicious dishes served at any of the chic establishments on-site or sip gin while listening to some Jazz at Hayman's Gin Palace. 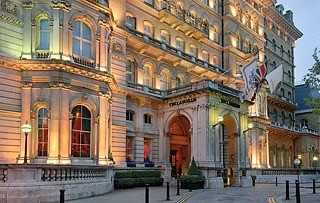 This exquisite hotel has everything you could ever desire when traveling to picturesque London. When booking your stay with WhataHotel!, guests can revel in fantastic Exclusive Complimentary Perks. These perks include available upgrades, buffet breakfast for 2 daily, a £70 spa treatment credit and options for early check-in or late check-out. 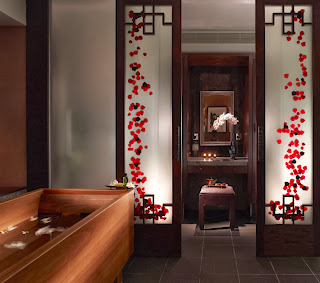 These amazing benefits allow guests to be able to stay in a posh hotel with historic charm while savoring the extras that are sure to make their trip phenomenal. 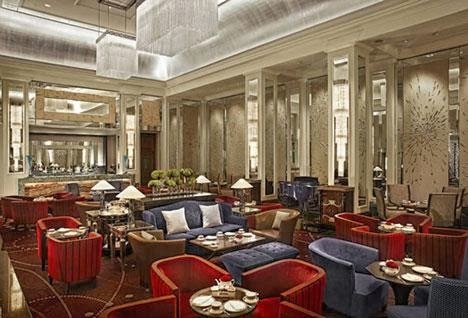 Sip tea and enjoy the elegant surroundings at the beautiful Langham, London. This is one landmark London establishment that is sure to please.